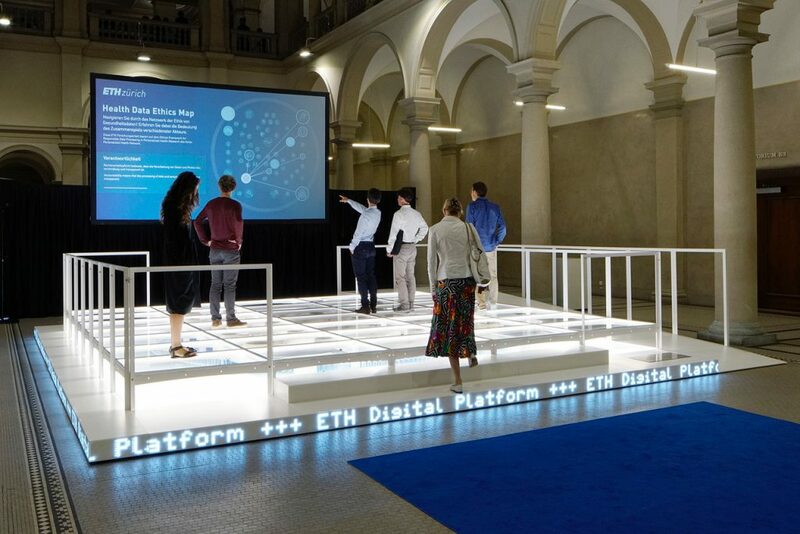 This fall, an amazing new digital platform was set to be displayed at the ETH Swiss Federal Institute of Technology in Zurich. This innovative lighting structure needed a system to control the illumination in the 35 glass floor elements, the 18 elements of the 19m long scrolling RGB LED display, as well as interactive LED effects triggered by passersby. The lighting system had to be rapidly developed with reliability and durability in mind, and Lukas Zeller of Plan44 was up to the challenge. 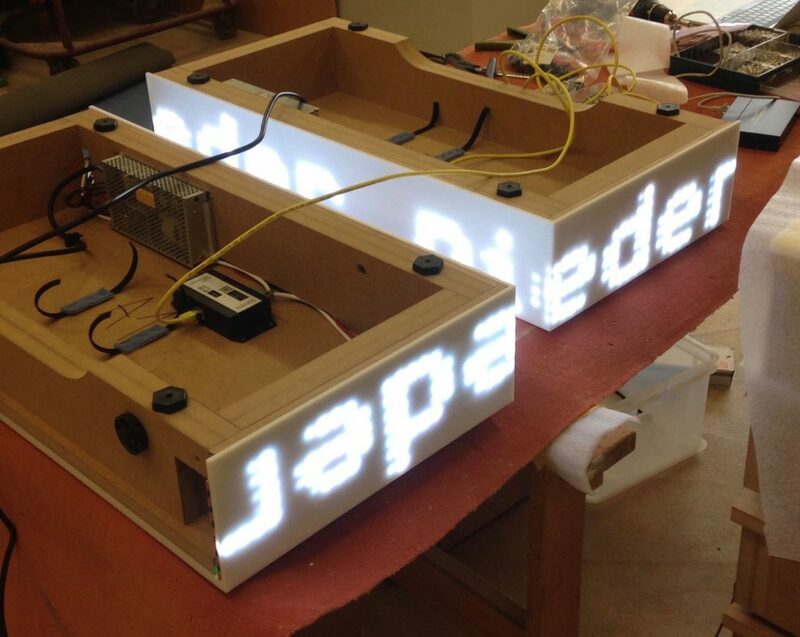 Lukas was asked by award winning design studio Klauser+Lienhard to develop and build a 19m long, modular LED scrolling text display for an exhibition platform they designed for the Digital Platform of the ETH – Swiss Federal Institute of Technology – with a project timeline of three months. 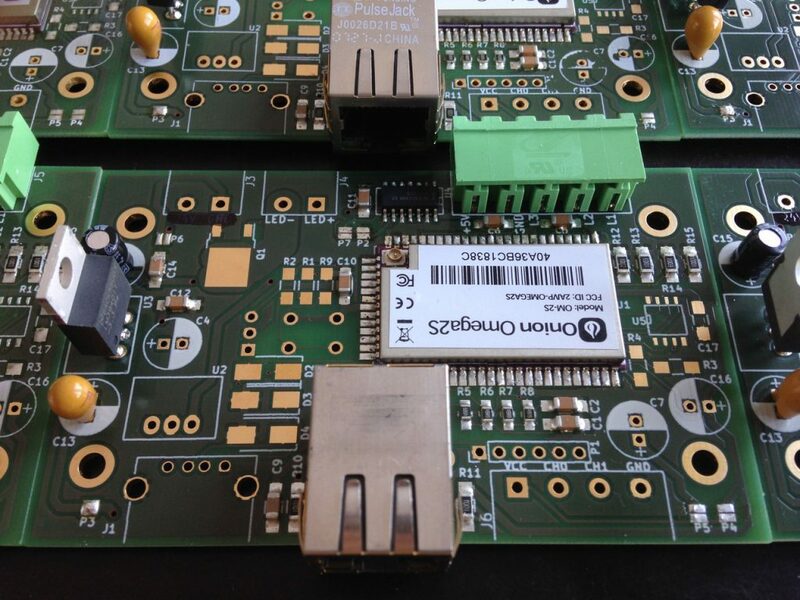 Thanks to the experience he had with the Omega2S and OpenWRT as a reliable platform, Lukas could accept the challenge and help realize the project by developing all the electronics and software, and get 70 units soldered and assembled in time. Inside the platform, these 70 Omega2 powered devices, networked via IPv6 ethernet for reliable synchronization, control all the lights (with the Omega’s PWM outputs), all LED effects on the platform including the 1126*7 pixel scroll text (via p44-ledchain kernel driver also using PWM to drive WS2813 LED chains), and the sensors which detect people approaching (MCP3002 A/D converter connected via SPI). 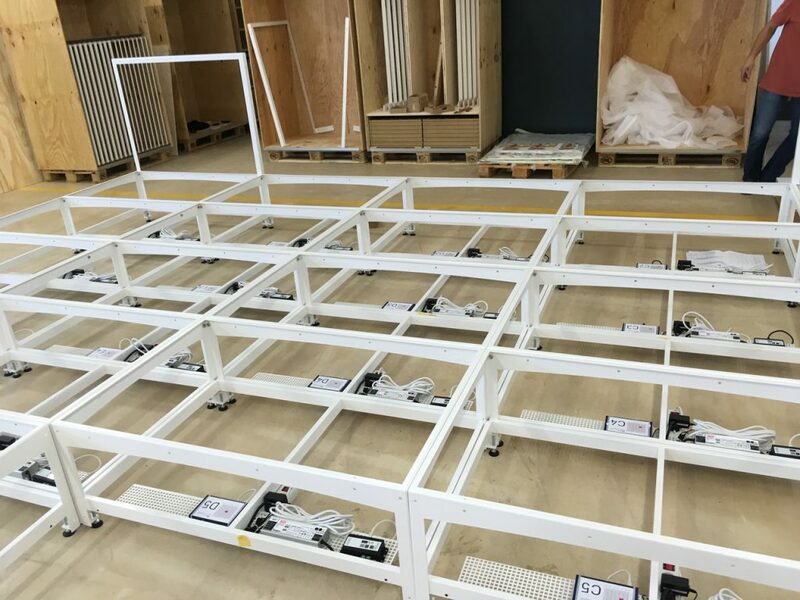 As the platform will be used at various events in many different locations in Switzerland and abroad, an important design goal was modularity for easy assembly and transportation. That’s why every mechanical module has its own Omega2S. The only interconnects are standard power and Ethernet cables, all cross-module interactions are made in software. All of the technology is open source, including the hardware design for the controller and connection boards for sensor input and easy connection of LED chains, the user space C++ app which generates text+sprite effects and the complete openwrt 18.06 based firmware building setup. 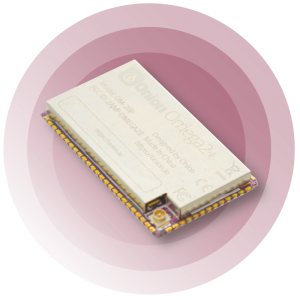 Do you have a project or device powered by the Omega2S?